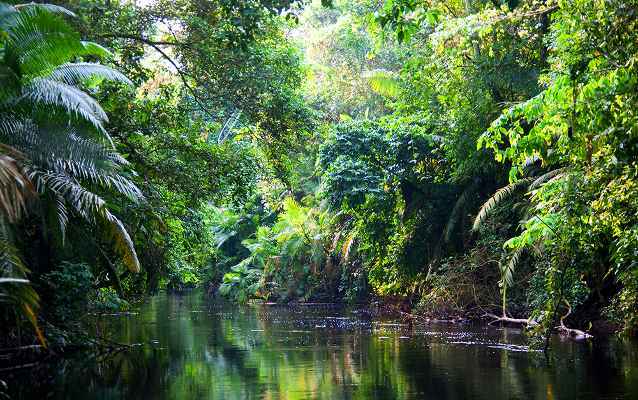 Time is ticking for Yasuni in Ecuador, one of the most bio-diverse forests on the planet. Ecuador’s historic proposal to keep its largest crude oil reserve beneath the iconic Yasuni National Park permanently in the ground in exchange for half of its forgone revenues has inspired a range of opinion that runs the gamut from fierce skeptic to devout believer. Only a small percentage of the funds have been raised, and President Rafael Correa has set December 2011 as the final deadline to meet the financial goal before enacting a “Plan B” to begin drilling. The initiative was launched in June 2007 by Correa, seeking some $3.5 billion (or $350 million per year over ten years) to forgo development of the Ishpingo, Tambococha, Tiputini (ITT) oil fields under the park (and half of the estimated $7 billion revenue) if the international community matches its financial sacrifice through a variety of mechanisms, including debt cancellation, bilateral aid, and direct financial commitments. Yasuni National Park is a United Nations Biosphere Reserve that boasts record levels of species diversity, much of which is endemic. It is also home to some of the planet’s last indigenous peoples living in voluntary isolation. According to the proposal, keeping the oil in the ground would also keep some 407 million tons of CO2 from entering the atmosphere. Some see the Yasuni-ITT initiative as a ransom – give us billions or the forest gets it! Others see it as an innovative panacea that could wean Ecuador off oil, save Yasuni National Park, protect people in voluntary isolation, and address the climate crisis. Most agree that at the very least, it’s a bold proposal from a net oil exporter – oil accounts for almost 40% of Ecuador’s GDP, and 60% of its export earnings. For any government so heavily dependent on oil revenue to consider leaving some 846 million barrels of it in the ground is certainly out-of-the-box thinking, particularly for an OPEC member country. Previous administrations have all salivated at the prospect of tapping into ITT crude, so the proposal is a major break from the traditional ‘drill baby drill’ mentality which has ruled the day in Ecuador since oil was first discovered in its Amazon in the 1940s. Unfortunately, the proposal has been riddled with problems from the outset, many of them of President Correa’s own making. The proposal’s political and financial guarantees were slow in coming, which is problematic given Ecuador had seven presidents and two constitutions between 1996 and 2006, and defaulted on its Brady Bonds in 2008. Donor confidence was further eroded by several changes in the financial mechanism of the proposal, and frequent turnover of members of the negotiating team and foreign ministers who were the face of the initiative internationally. These factors, coupled with a series of Correa public outbursts and contrarian environmental policies, undermined the proposal’s credibility. Internationally, the proposal is also a tough sell because it doesn’t fit into a standard emissions reduction scheme. While Kyoto and the UNFCCC process have set up mechanisms for calculating and abating CO2 emissions at the tailpipe, a system for doing the same at the wellhead does not yet exist (and until the leakage issue can be resolved, won’t for some time, though progress is being made toward developing the category of “avoided net emissions,” a direct result of the Yasuni proposal). Perhaps the biggest blow came in June 2011 when Germany – once thought to be the most interested and credible of potential donors – got cold feet. Worried about setting a precedent for paying countries not to drill or log (and perhaps less interested in a “donation” if it didn’t come with offsets for its own emissions), Germany backed away from financially supporting the project, and instead directed its monies toward the Forest Partnership Program (known as Socio-Bosque), which will offer emissions offsets. Correa has set December 2011 as the final deadline to meet the financial goal before enacting a “Plan B” to begin drilling, and major funds are lacking. While the prognosis of the proposal may be somewhat bleak, the innovative concepts put forth by the Yasuni-ITT initiative should be at the forefront of efforts to protect biodiversity, advance indigenous rights, and address climate change. ~ by FSVSF Admin on 16 September, 2011.